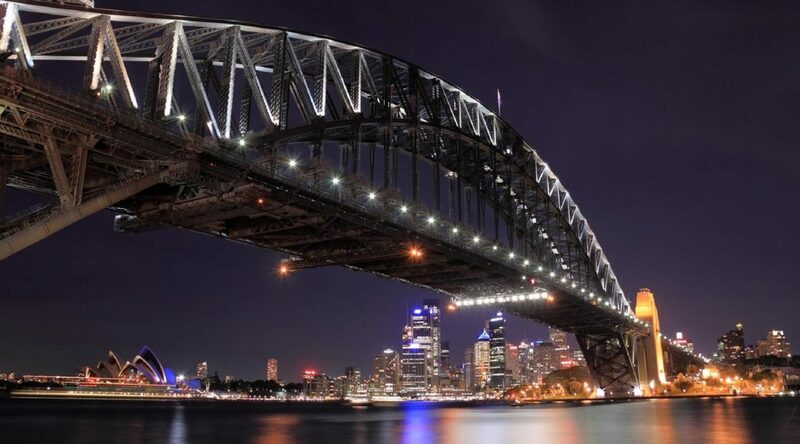 The IBM Institute of Business Value (IBV) 2014 Chief Procurement Officer (CPO) Study examines the “journey to value” for procurement organisations. The survey covers more than 1,000 CPOs and senior procurement executives at global companies across 41 countries and details the specific procurement strategies that drive positive business results and bottom-line impact. The study took a closer look at “procurement role models,” the 100+ companies that achieved the most impressive revenue and profit performance relative to their industry peers. The results were then mapped to identify common attributes that separated the role models from the rest of the pack. 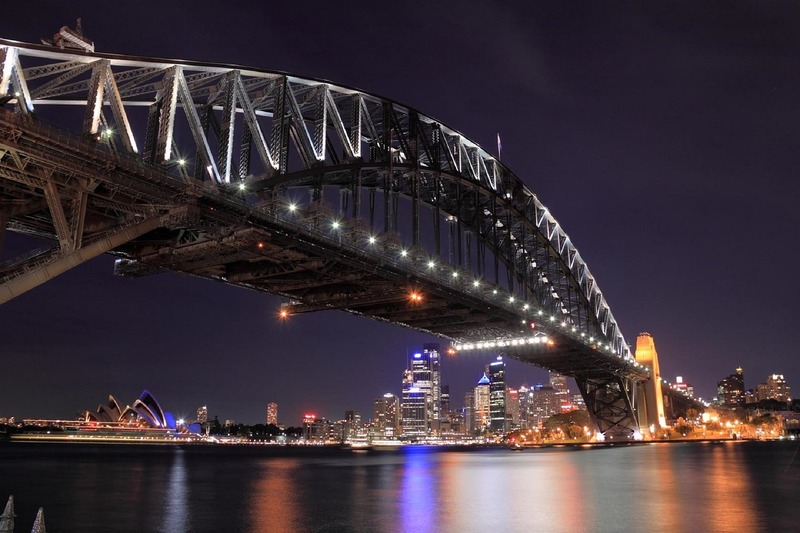 Focus on improving enterprise success, not just procurement performance. Engage with stakeholders to understand and anticipate their needs and values. Embrace progressive procurement practices and technologies to drive results. At a time where Procurement sometimes struggle to communicate the value that they bring to an organisation, and many departments are not afforded a seat at the executive table, this study gives some excellent pointers to CPOs and senior procurement professionals as to how they can catch up with leading organisations. The procurement role models provide a blueprint for high performance – take a wider view of the whole organisation and how procurement fits into that, understand the stakeholder map and make sure that you engage both internally and externally, and be a first mover or early adopter with technologies that will assist with management, risk and efficiency. Here at Procurious, we expect 2015 to be a pivotal year for procurement departments being recognised for adding value to organisations. 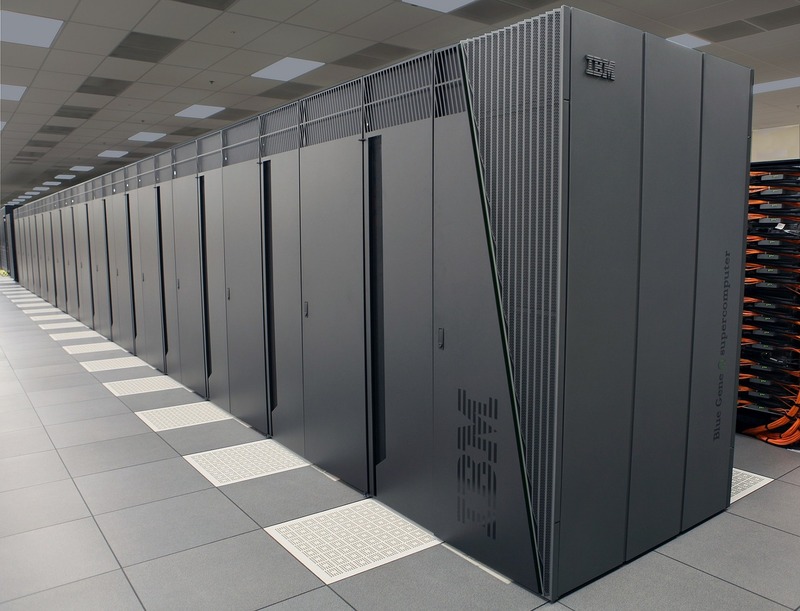 The ever-increasing use of technology and social media will help to support this, while research like IBM’s will continue to provide a benchmark we should all be looking to reach. Even as IBM’s report emphasised the requirement for engaging stakeholders, other news highlighted that procurement departments often forget that suppliers are stakeholders too. Reports of ‘bullying’ in supply chains and treatment of suppliers by Premier Foods show both a lack of trust and long-term vision. Costs can certainly be cut in the short-term by squeezing suppliers, but real value can only be realised by building relationships and engaging with suppliers early on. We all have the responsibility to ensure organisations conduct business responsibly and it’s perhaps time for procurement to step up and put their foot down. Having research to point to should help back up our point! Almost a fifth of companies face unfair supply chain practices, including “pay-to-stay”, according to the Federation of Small Businesses (FSB). The FSB said it had found “alarming evidence of supply chain bullying” in a survey of about 2,500 of its members. 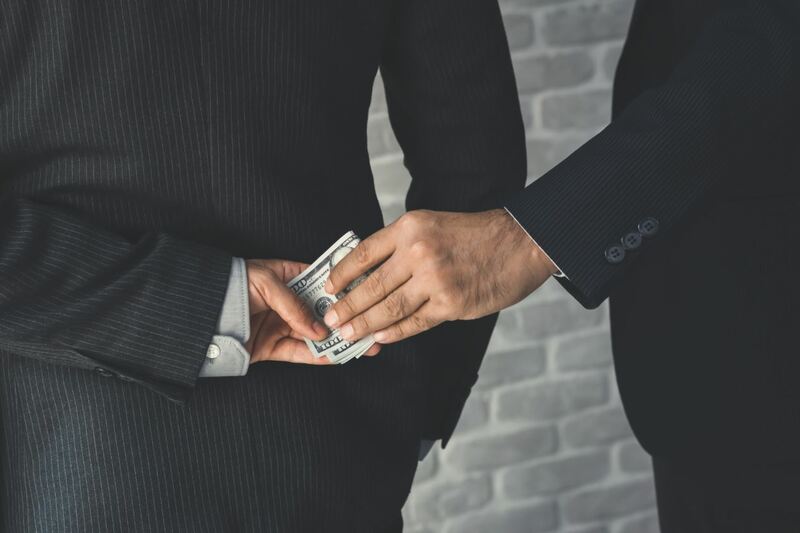 It found that 5 per cent of businesses had been asked to make a payment by a customer or face being taken off a supplier list.In a “pay-to-stay” arrangement, a company demands that suppliers pay a fee to continue doing business with the firm. In the last week Premier Foods backtracked on its controversial “pay-to-stay” policy. A supply chain leak out of Taiwan is claiming that Apple and Quanta have solved yield issues that will allow Apple Watch production to ramp up starting in January. United Daily News reported (via MacRumors) that the first wave of Apple Watches will number in the 3-5 million mark, with 24 million scheduled for all of calendar 2015. The report indicates that Apple would be in a position to ship Apple Watch earlier than competing rumors and analyst reports have indicated—perhaps towards the end of the first quarter. Analyst Brian Blair from Rosenblatt Securities issued a report in October claiming that Apple had to push back release of the Apple Watch due to problems in the supply chain. UDN also claimed that Quanta has increased its Apple Watch-related workforce from 3,000 employees to 10,000. The company is reportedly aiming to have between 30,000 and 40,000 people working on the device when full-scale production begins. Apple has said only that Apple Watch will ship in “early 2015.” Angela Ahrendts, Senior Vice President of Retail and Online Sales for Apple, intimated in a note to her retail employees that Apple Watch would ship “in the spring.” Spring officially begins on March 20th and lasts until June. The Seahorse Club held its Annual Awards and Christmas Party, in association with Associated British Ports (ABP) in London on 9 December. Professionals from the freight transport sector, as well as those from the forwarding and logistics fraternity were all represented. International Editor of the Year (sponsored by PSA International) was awarded to Paul Avery, editor of World Cargo News. The Geodis Wilson sponsored Supply Chain Journalist of the Year was Gavin van Marle of The Loadstar for his consistently relevant piece on e-Returns, a challenge of growing proportions across numerous retail supply chains. Bob Jaques of Seatrade Global was named Seahorse Club Journalist of the Year for a range of articles on diverse subjects including over-capacity in the supply chain, and safety at sea following a spate of high-profile maritime casualties. Belgian trade unions have called a national strike to voice their discontent over government plans to implement austerity measures and hike the pension age. The strike, which commenced at midnight on 14 December and will continue through to midnight on 15 December, has been called by national unions to protest against new measures being taken by the Belgian Federal Government. 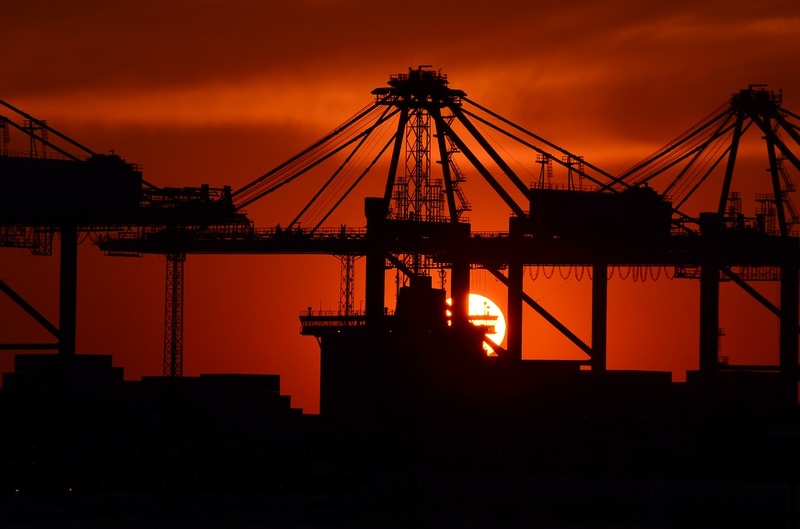 ISS Antwerp has reported that the unions represented in the National Joint Committee for the Port of Antwerp have called upon their members to participate. Severe disturbance to services in the Port of Antwerp, such as shortages of gangs and possible closure of the locks, are therefore anticipated. All Belgian ports are likely to be similarly affected, as will the Belgian railway and Belgian Customs. Former Apple Global Supply Manager Paul Devine — who ran afoul of the law in 2010 for selling details of upcoming Apple products to Asian manufacturers — has been sentenced to one year in prison and fined $4.5 million for his role in the conspiracy. Devine plead guilty to the crimes in 2011, but was only sentenced this week. He will begin serving his prison term — which will be followed by three years of supervised probation — on Feb. 19, 2015. Alongside Singaporean partner Andrew Ang, Devine was charged in 2010 with 23 counts including wire fraud, kickbacks, and money laundering. Devine used his position as a senior supply chain manager to pass information about upcoming products to Apple suppliers, which used the information to gain leverage in negotiations with Apple and paid kickbacks to Devine and Ang. Agencies that work with Premier Foods are being urged to contact the Marketing Agencies Association’s Pitch Watchdog anonymously to flag concerns over controversial ‘pay to stay’ payments, as it calls on government to take action. The MAA has urged agencies to come forward to raise concerns over the practice, after it emerged food giant Premier Foods, which owns brands including Mr Kipling and Oxo, had been making “millions” of pounds from investment payments made by suppliers into the business. Premier Foods launched an investment payment scheme 18 months ago as part of its strategy to consolidate its supplier base and invest in innovation, promotion and marketing by asking suppliers to make an upfront investment in the business. Suppliers accused the business of forcing them to make payments, or risk being cut off of its supply base. A British manufacturer claims to have strengthened its supply chain and boosted local jobs by reshoring production from China. Vent-Axia, which produces fan and ventilation systems, has brought its manufacturing back to the UK, investing £350,000 in tooling for new production lines and associated building works. As health systems look to trim costs in 2015 to address the impact of the Affordable Care Act, they’ll want to look at the supply chain. And mHealth could come in handy. That’s the opinion of Jump Technologies, an Eagan, Minn.-based developer of cloud-based inventory management solutions, which recently issued its list of predictions for the coming year. The company sees mobile supply chain management solutions as an important part of the healthcare budget – especially as health system administrators focus on more important matters like EMRs, meaningful use, ICD-10 and regulatory issues. It references a 2014 survey by Jamie C. Kowalski Consulting, which found that nine out of every 10 hospital C-level executives and supply chain adminstrators see supply chain management as one of the top three areas for reducing expenses. A new mobile trojan dubbed “DeathRing” is being pre-loaded on to smartphones somewhere in the supply chain, warn researchers at mobile security firm Lookout. DeathRing is a Trojan believed to be of Chinese origin that masquerades as a ringtone app, but can download SMS and browser content from its command and control server to the victim’s phone. This is of concern to original equipment makers (OEMs) and retailers because the compromise of mobiles in the supply chain could have a significant impact on customer loyalty and trust in the brand. Mainly affecting lower-tier smartphones bought in Asian and African countries, this is the second significant example of pre-installed mobile malware that Lookout has found on phones in 2014. Researchers said this signals a potential shift in cyber-criminal strategy towards distributing mobile malware through the supply chain. “Savvy” procurement saved the BBC more than £70 million on goods and services this year, a report into the broadcaster’s efficiency has stated. Total category spend of £655 million across 11,500 vendors in 2013/2014 is managed via framework agreements or managed services, and competitive pricing led to savings across the function, according to Driving Efficiency at the BBC. In one example, a competitive tender that resulted in Siemens becoming the single technology provider to the BBC, led to annual savings of £37 million. Additional savings via volume reductions through the adoption of strict policies and targets, and price negotiation with Atos (which acquired Siemens’ SIS division) have totalled £13 million over the 10-year contract. Two major contracts re-procured in 2013 and 2014 for facilities management and domestic radio transmission are also saving the corporation £20 million a year. Since the start of the current 10-year BBC Charter in 2004, annual savings have grown to £1.1 billion. The report forecasts these will rise to £1.5 billion by 2016/17. Next, the high street retailer run by multimillionaire Tory donor Lord Wolfson, is bussing in hundreds of Polish people to work in its Yorkshire warehouse after claiming to have failed to hire enough British people. The company, which made profits of £695m last year, admitted that it began recruiting Poles for minimum-wage seasonal warehouse jobs 5-10 days before advertising the roles in the UK. Next said it was not preferentially hiring Polish people, but had started the recruitment drive in Poland first because it needed more time to bring people over from the continent. The company has hired about 500 British and 240 Polish people for a total of 840 warehouse roles required over the Christmas shopping and January sales period. The spokesman said the jobs were advertised on Next’s website, in jobcentres and on UK recruitment websites. Next is still actively recruiting in the UK and Poland for 100 more staff. The Yorkshire and Humber region has the second-highest unemployment rate in the country, after the north-east, with 7.2% of people out of work compared with the national average of 6.1%. Next and its Polish recruitment agency have arranged a fleet of buses to drive the 240 Polish recruits 1,180 miles from Warsaw directly to its warehouse in South Elmsall, West Yorkshire. The first of the buses began arriving last month, with up to seven coaches travelling in convey according to the Daily Mirror, which first reported the Polish recruitment drive. Mayo Foundation was second. Gartner said it was a model of consistency, combining the balance of high quality of healthcare scores and solid bond rating with top echelon peer and analyst scores. Mayo continues to demonstrate leadership in the healthcare value chain by retaining and developing top talent. Intermountain Healthcare stepped up a place to third. “Intermountain represents one of the closest things to a literal ‘City on a Hill’ in the world of healthcare providers through its $40 million investment in its supply chain centre,” said Gartner. GlaxoSmithKline came in at number 23. 3D printing has come a long way in an extremely short span of time. Initially built by Charles Hull in the 1980s as a tool for making basic polymer objects, today, the technology has spurred remarkable efforts in several manufacturing sectors; from building intricate aircraft and race car components, to human organs and prostheses. Now, the wider business world is beginning to understand the potential of 3D printing for cost-effective, efficient and environmentally-friendly manufacturing. It is little wonder that analyst firm, Canalys see the global market for 3D printers reaching $16.2bn (£10.3bn) by 2018. 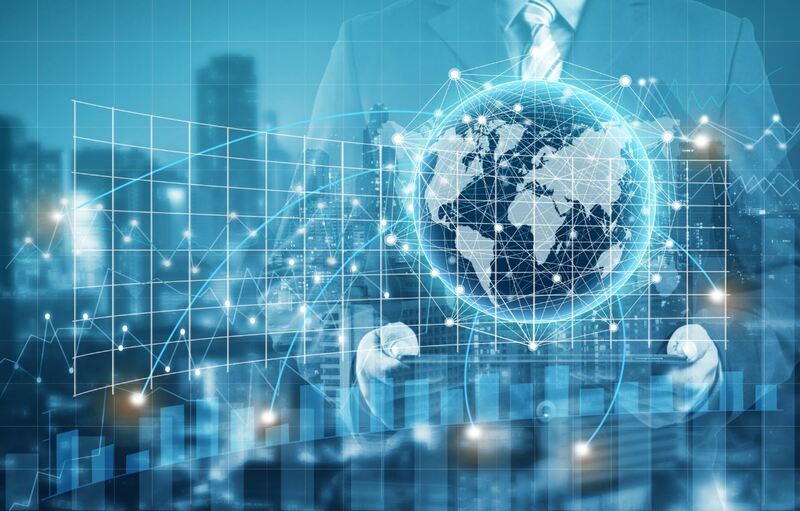 With increasing adoption, the technology will revolutionise manufacturing as well as the supply chain and logistics processes which surround it. 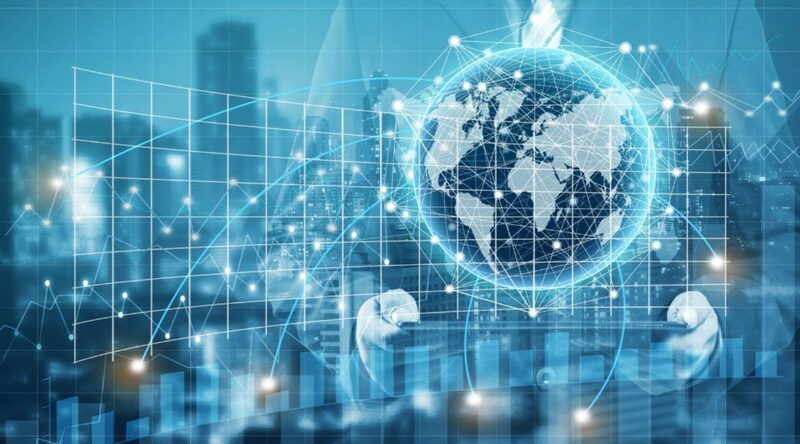 Though manufacturing in certain locations can be low-cost, managing a global logistics network isn’t; especially given the transportation costs involved. 3D printing can reduce these costs by enabling businesses to station local manufacturing centres closer to strategic markets, reducing the length of the supply chain and helping towards a reduced carbon footprint. Regional manufacturing centres can also tackle inventory concerns, especially for the industrial spare parts and consumer sectors selling highly-customised products. 3D printing technology will enable manufacturers to easily produce goods to order, helping save money and minimise waste. The Chartered Institute Of Procurement & Supply for the Middle East and North Africa region (CIPS MENA) is considering establishing a sub committee and a mentoring pool for UAE women working in procurement. A demand for both was identified at an Abu Dhabi event held in October entitled ‘The Impact of Women in Procurement’, which was attended by about 70 procurement professional from diverse industries with most participants being female UAE nationals. Rebecca Fox, general Manager of CIPS MENA, said: “This event has shown that there is a healthy appetite amongst women for the procurement profession to be conducted according to the highest international standards in organisations of all kinds and in all sectors. Hardly had the dust settled from Babcock’s selection as the winning bidder to acquire the British state-owned armored vehicle repair company Defence Support Group (DSG) when a newspaper report emerged claiming the firm is in line to secure a major deal with the Ministry of Defence to transform the purchase, storage and transportation of commodities. Babcock and its partner, DHL, in a team known as Defence Integrated Supply Chain Solution, has been in a head-to-head competition against US company Leidos with Kuehne & Nagel and others acting as subcontractors to win the Logistic Commodities and Services (Transformation) (LCS(T) program. An in-house MoD team has also been bidding. An announcement on a winner for the LCS(T) program had originally been planned for November. That slipped to December and recently an MoD spokesman said a final decision naming the winner had been pushed back to 2015. But now a report in the Independent newspaper here Nov. 28 said that Babcock had beaten Leidos to the deal. The MoD denied a decision had been made and said it was sticking to its new timeline for an announcement in 2015. Defence minister Manohar Parrikar on Sunday said that his arms procurement policy would be in the interests of the country. “India’s interest would be primary in arms purchase,” Parrikar said, adding that after taking into account India’s interests other things can be considered in arms purchase. Parrikar was replying to media questions on the demand put forward by Rajya Sabha MP Sitaram Yechury that India should stop purchasing arms from Israel. “I do not know exactly what Yechury said, therefore I will not comment. But my arms procurement will be in the interest of this country,” Parrikar said. My advice to the defence minister is that in the interests of India and world stop financing Israel and its attack on Palestinians. Buying arms from Israel means giving profits to Israel which are being used to kill Palestinians, Yechury said. “Parrikar’s patriotism would be tested as defence minister, let’s see what he does,” added Yechury. This news blast has a distinctively oriental flavour – with a brief stopover in Ottawa (Canada), and Vietnam (once part of Imperial China) for good measure. 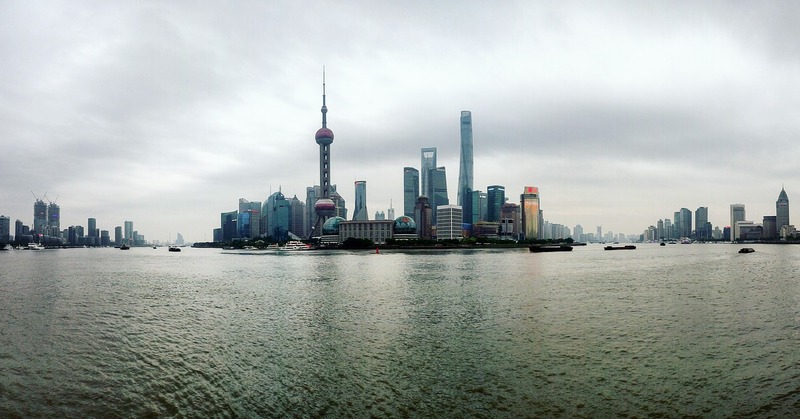 DHL Supply Chain has announced it will commit a further £90 million in China as its strategy gains traction. This is on the back of £83 million that was committed in 2013, bringing the total committed to £173 million. The funds will support the expansion of its network across China and in particular, six additional state-of-the-art logistics facilities scheduled for completion by 2020. 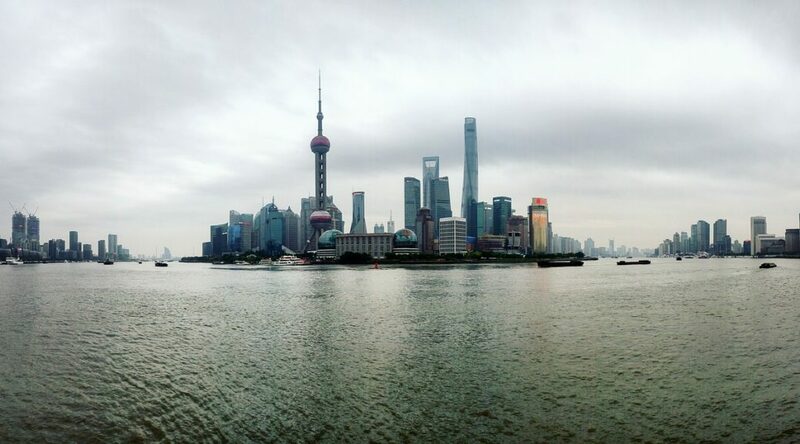 The confirmed locations are Guangzhou, Hangzhou, Wuhan, Shenyang, Shenzhen and Shanghai Waigaoqiao Free Trade Zone. DHL recently opened its state-of-the art Chengdu Logistics Centre facility in western China. Located in Xindu district, the Chengdu Logistics Centre is a key strategic investment by DHL Supply Chain to support continued economic growth in the western region. CIPS’ Q3 2014 Risk Index has found that while supply chain risk in the Middle East and sub-Saharan Africa has increased, neither the Ebola outbreak nor the advance of the Islamic State has led to a significant increase in international supply chain risk. Instead, it is the economic slowdown in Germany and China that could jeopardise supply chains, it found. However, the index, which analyses socio-economic, physical trade and business continuity, also found that supply chain risk has reduced for the twelfth consecutive month to 77.9 in Q3 from 78.1 in Q2. The index reached an all-time peak of 82.4 in Q3 2013. 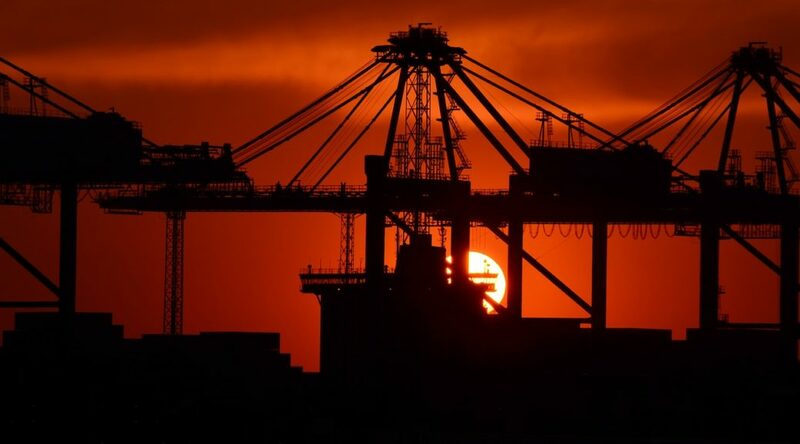 Supply chain risk has thus far been checked by the relative economic stability of the world’s three most important contributors to world supply chains, the USA, China and Germany, but that could change in Q4 as the economies of both Germany and China look increasingly fragile. The combination of Russian sanctions, the rise of Euro-scepticism and a reduction in demand for German products, could see Germany lose its position as the most reliable component of world trade, the index suggested. Concerns are also growing in China over an economic slowdown, with the World Bank urging the country to slash its growth target for 2015. Local government and industrial sectors in the country are struggling to pay back loans taken out during the 2008-09 crash. Global e-commerce giant eBay has signed a strategic agreement with Shanghai-based logistics service provider Winit Corporation to allow Chinese vendors to easily sell to overseas buyers. Winit will provide eBay sellers with one-stop cross-border supply chain services to allow quicker delivery from overseas warehouse to buyers. This comes as a result of cross-border e-commerce transactions picking up in recent years. John Lin, Vice President of eBay and Managing Director of eBay China, including Hong Kong and Taiwan, said: “Through our collaboration with Winit we hope Chinese exporters can leverage the comprehensive warehousing service to play a more important role in global trade and to better connect Chinese exporters with global buyers. The “shipping first, selling later” model enables Chinese sellers to compete with overseas counterparts by improving delivery efficiency and save logistics costs and customs clearance trouble. After Chinese sellers’ merchandise is shipped to an overseas warehouse, local buyers can select their own courier services to have their packages delivered to their doorstep. Following China-based application processor (AP) supplier Rockchip’s entry into the Chromebook industry, China-based end device makers are also expected to join the Chromebook supply chain, according to information Digitimes Research has collected from the Greater China supply chain. China-based Bitland and BYD will start producing Chromebooks for brand vendors in 2015 and they will be among only a handful of makers capable of making the device. Digitimes Research believes Google’s recruitment of Rockchip into the Chromebook camp is meant to expand the the device’s supply chain. Currently, most non-Samsung Chromebooks available in the market are produced by Quanta Computer, while Compal Electronics has a small amount of orders from Acer and Lenovo. Samsung Electronics manufactures its Chromebooks in house. In 2015, Google is looking to relax the entry barriers to its Chromebook supply chain by expanding its partnerships with chipmakers and manufacturers. Bitland and BYD are both expected to enter the Chromebook supply chain because of Rockchip. Lenovo is also expected to launch products using their platforms. With a booming manufacturing market, Vietnam has rapidly become a crucial link in the Southeast Asian air cargo supply chain, with 25 percent of its exports being shipped via air cargo. This week, businesses in the developing country sent a message that they are ready to compete on the world stage by launching a new cargo airline and moving forward on a new cargo handling facility. Ho Chi Minh City-based Vietjet Aviation has announced the start of its new affiliate, Vietjet Air Cargo, which it says will operate 28 routes by the end of this year and increase that total to 39 in 2015. Currently, the parent company, three-year-old VietJet, operates sixteen A320-200 aircraft, with firm orders with Airbus for another 63 planes in the A320 Family. The carrier said it plans to operate about thirty A320s by the end of 2015. Public servants overseeing billions of dollars of military equipment projects are facing burnout and poor morale and could be prone to error due to overwork, documents obtained by the Citizen reveal. In addition, some 18 per cent of the civilian workforce in the Department of National Defence’s procurement branch is eligible to retire by the spring, without penalty. That potential exodus of skilled employees “creates a significant risk to program execution,” the documents note. There are slightly more than 2,600 DND staff handling military procurements; future projects range from the acquisition of new search-and-rescue aircraft to ships and armoured vehicles. The Conservative government plans to spend tens of billions of dollars on new gear for the Canadian Forces over the coming years. But the procurement branch’s human resources plan for 2014/2015 outlines the problems the group faces. “Heavy workloads, long-term high stress levels and waning morale, resulting in increased sick leave usage (and) employee burnout increase error rate and labour relations issues,” noted the plan. A limit on the ability to hire new staff is another problem. 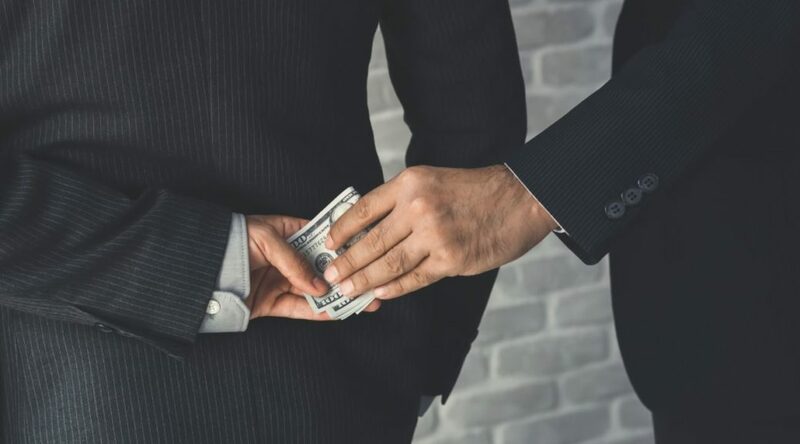 A controversial IT tender is being investigated by the government’s mystery shopper scheme after a small reseller criticised the procurement process for being unfriendly towards SMBs. Last week, CCL’s managing director Dennis Armstrong branded the government’s IT procurement process “outrageous” after being presented with an Invitation To Tender (ITT) document which was 92 pages long despite being for a relatively small deal of £10,000. He claimed that reams of red tape are cutting SMBs out of government deals, which was echoed by other smaller firms. At the time, the government admitted there is more to be done to improve procurement for SMBs but insisted it was cutting the amount of administration involved. After seeing the CRN article, the government contacted Armstrong and asked him to take part in its mystery shopper scheme in order to investigate the tender in question. The scheme was set up in 2011 and aims to investigate procurement across the government and to help suppliers that have experienced poor practice. It claims that SMBs in particular have made “good use” of the scheme and that 79 per cent of the cases it investigated resulted in a positive outcome. UK politicians Ed Miliband and Nick Clegg have made headlines for the wrong reasons… this and more in our weekly news-blast of procurement’s biggest stories. A women’s rights charity behind a t-shirt campaign now caught up in controversy over claims the products were made in “sweatshop” conditions has said it will order the clothes be withdrawn from sale if the reports are proven. 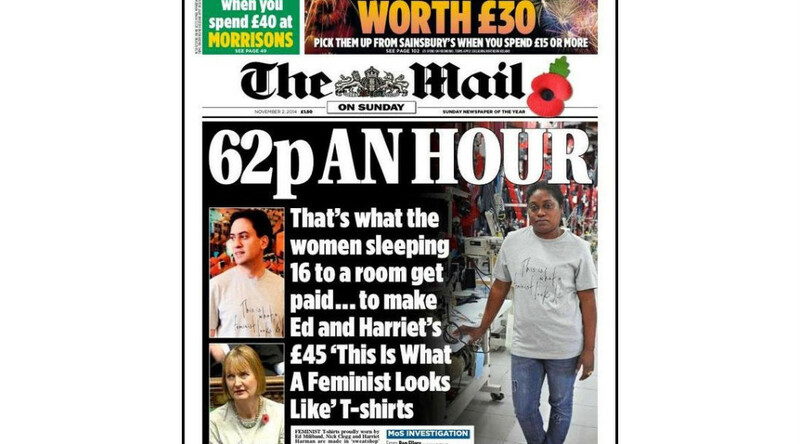 The T-shirts, proudly worn by Ed Miliband, Nick Clegg and Harriet Harman proclaiming their feminist credentials, are made by women workers being paid just 62p an hour, the Mail on Sunday reported. 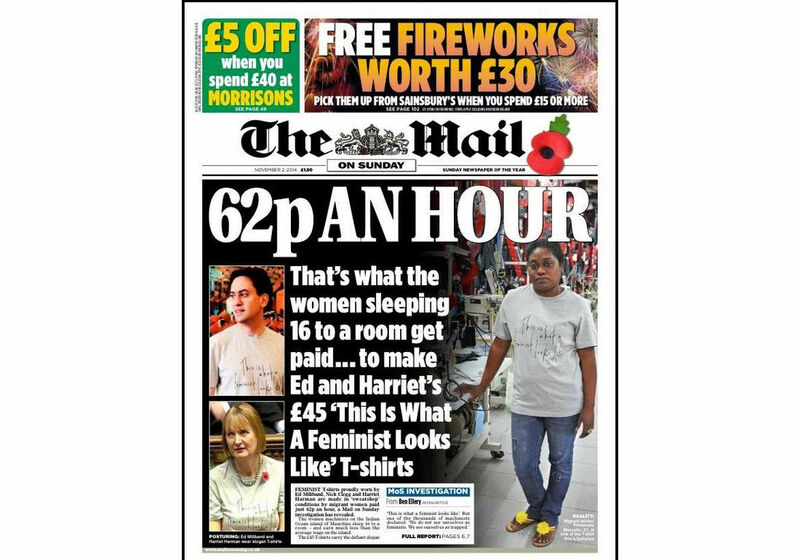 The paper said its investigation had found the t-shirts with the slogan “This is what a feminist looks like” were being produced on a factory on the Indian Ocean island of Mauritius where the women machinists sleep 16 to a room. Fashion retailer Whistles, which sells the garments for £45 each, described the allegations as “extremely serious” and said it would be mounting an urgent investigation. An interesting article has appeared in The Telegraph on the rise of drones and the economic benefit they could bring to the UK. It is penned by Michael Minall – Aerospace and Defence Director at Vendigital. Developing a supply chain for drone production is such a significant challenge as the current aerospace sector is already competing for capable capacity in the supply chain. The task of making enough commercial aircraft to meet rising passenger numbers (20,000 over the next 20 years) means that many manufacturers are working at stretched capacity. To combat this, innovators of drone technology must move now to engage in supply chain mapping and open a dialogue with key suppliers regarding future business needs, communicating their requirements in terms of volumes, key capabilities and location. Michael also touches on the potential skills gap, highlighting how unpopular engineering has become as a degree subject. So in order to source staff with the desired technical skills, firms should be prepared to take action at a grassroots level. The winners of the CIPS Pan African Procurement Awards 2014 were announced at a ceremony in Johannesburg, South Africa. Awards in 10 categories were presented to organisations in the public and private sectors, and two postgraduate awards and nine certificates of recognition were also handed out at the celebration at the Premier Hotel OR Tambo. The evening included a speech from Jimmy Manyi, president of the Progressive Professional Forum and former CEO of government communications and information systems for the Republic of South Africa. Award highlights included: Most Procurement & Supply Orientated CPO/CEO of the Year: Garry Pita, Transnet, CIPS Young Procurement and Supply Chain Management Professional of the Year: Lindiwe Ntuli from NECSA, while Kamogelo Mampane was awarded the CIPS Fellowship. 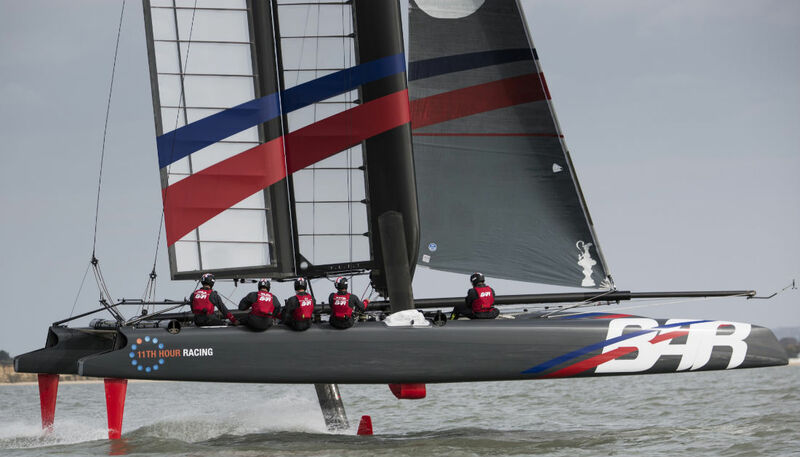 Ben Ainslie Racing the racing team set up by Olympian and America’s Cup winner Ben Ainslie has partnered with high-tech procurement company Matrix in a bid to win the America’s Cup with as green a boat (and surrounding infrastructure) as possible. Through buying components from within the UK, especially the Solent area close to their workshop in Portsmouth, reducing the impact on the environment and boosting the local economy. The technology will enable BAR to support smaller businesses, taking advantage of the best of British tech and innovation; in contrast to other teams such as Oracle Team USA who wouldn’t tend to look for smaller suppliers, the BAR and Matrix partnership aims to support British businesses. Matrix already enjoys long term relationships with around 78 local authorities and the wider public sector including the NHS, higher educational establishments, schools, police authorities and the not-for-profit sector through the procurement of temporary staffing. The buying platform opens late November, with Matrix and BAR hosting a supplier day open to all suppliers interested in working with BAR. Micron, Wave Systems, Lenovo, and PC Bios software vendor American Megatrends plan to develop enterprise-class security for enterprise class IT business systems. The solutions to strengthen the BIOS specific feature called Core Root of Trust for Measurement (CRTM) to protect against current and emerging pre-boot threats within the supply chain. The companies intend for these solutions to form the basis of a new industry standard designed to ensure the integrity of the supply chain. 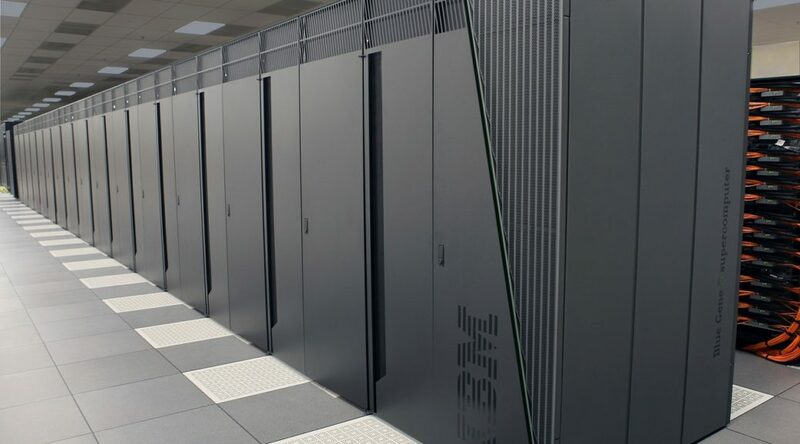 The comprehensive enterprise security suite will serve to protect memory content from its inception in manufacturing throughout a computing device’s life cycle. It is hoped that a centrally managed security solution (working in conjunction with a client’s core root of trust for measurement) will provide client system integrity throughout the supply chain. The paddy procurement in Punjab has been stopped midway as the state has exhausted its first installment of cash credit limit (CCL) of Rs. 8,000 crore received from the Centre, and the second installment of Rs. 10,000 crore has not arrived despite several frantic reminders by the state. It is a crisis-like situation as the state government has not paid the farmers since ten days for the large quantity of paddy procured by Punjab. About 40 lakh tonne of paddy still remain in grain markets waiting to be procured by government agencies. So far, payment has been made for 55 lakh tonne. Other farmers are awaiting payment while agencies have already obtained the grain from them. Fire and rescue services across England could save £18 million annually by standardising and streamlining the way they buy firefighting clothing and equipment, according to a joint report from the Department for Communities and Local Government (DCLG) and the Chief Fire Officers Association. A report commissioned by DCLG found fire services buying identical kit at vastly different prices, with variations of up to 200 per cent. It cited examples including a pair of protective trousers costing between £125 and £274, a fire helmet costing £105 to £131, and the price of a fire coat ranging £220 to £366. Concluding that fire and rescue authorities could achieve savings of £18 million from a total spend of £127 million a year, the report suggested the savings could be even greater if applied to all purchases by all fire services, which spends an estimated £600 million each year on buying equipment and fire engines.